Road Rash II, the sequel to the first game, was released the next year in 1992, also on the Sega Genesis. Road Rash II was heavily based on the same engine and sprites as the first Road Rash game. The races took place in the U.S. states of Alaska, Hawaii, Tennessee, Arizona, and Vermont. The most noticeable difference in the game is the change of the menu screen. Road Rash II made navigation of the menu screens considerably easier, as well as gave the game a password less than half the size of the first game's passwords. 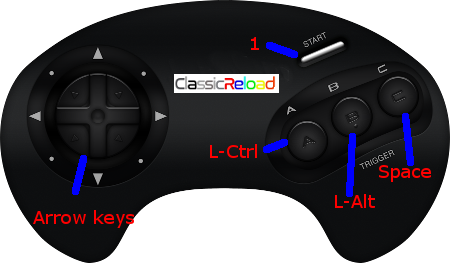 Also, several game modes were introduced; alongside the two modes from the first Road Rash were a true two-player game called "Split Screen" where the 14th and 15th players are replaced by human players, and a duel mode called "Mano a Mano" where the two human players can select any bike, weapon, and length of track they wish before racing each other.